Hey, y'all! I just had to share with you a project that we are about half way through: A big ole self-portrait mural inspired by the artist and author Todd Parr! It's a school-wide effort but currently only my kindergarten through 2nd grade students are finished. Once my 3rd and 4th grade kiddos complete their self-portraits, I'll add them to the mural and be sure to share the finished product with y'all. This unit of study has not only involved creating a colorful self-portrait but also color theory and collage. But I'm getting ahead of myself! 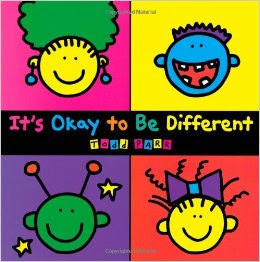 Let's talk about the inspo: It's Okay to be Different. Do y'all have this book? It's a super short and colorful read that's perfect for the art room. 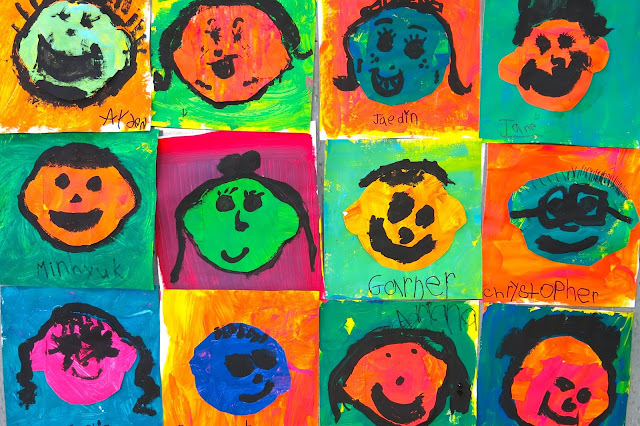 What better place to emphasize our differences and celebrate them than art class, right?! It's a happy read with a great underlining meaning that the kids really love. And I really love the crazy and colorful result! To walk you through the entire process, lemme tell you how we started. With kindergarten and first grade, that meant this color-mixing lesson and a reading of the book Mouse Paint. Kindergarten created these in one class: read the book, did some drawing together and boom! Mixed up some secondaries. I created a more thorough blog post here. A video of the steps is below. 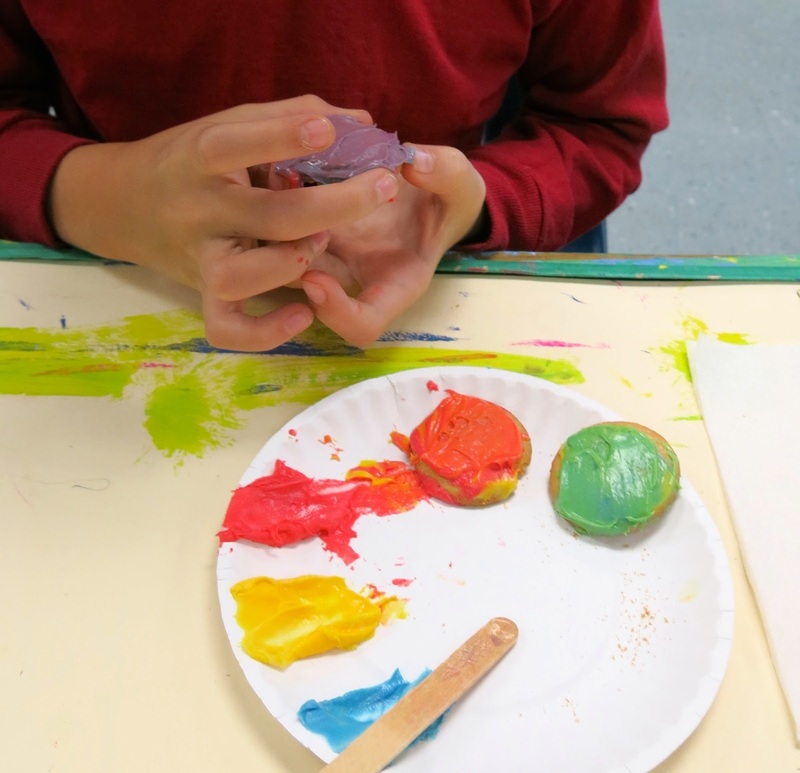 My first and second graders earned a party for their awesomeness and we used our color mixing skills to ice our cookies! Once we'd become paint mixing masters, we created these painted papers! The papers had been pre-folded by yours truly, first in half and then a 4" fold across the bottom. This created two squares and two rectangles on the paper. The kids were instructed to use their knowledge to paint three shapes in the secondary colors and in the last shape, they could paint any color they liked. I loved the colorful result! I need this as some wallpaper, stat! Now, in this NEW video, I'll walk you through our collage portrait making process. I throw a TON of ideas at the kids and let them pick and choose and, of course, come up with their own! I feel like the more ideas you give them, the more confident they will feel that they can make any of their wild and crazy ideas come true. Because I see my younger students for 30 minutes, they spent two days collaging and on their final day they outlined in black paint. In the video, I am using brush painting supplies to help the students keep their "paintbrush ballerina" on her tippy toes. Each portrait was different and, of course, that was okay! Y'all better believe I love that crayon hair clip. I wonder where she got that idea...?! What's cuter than a side pony? Nothing, y'all. Absolutely nothing. For my kindergarten and first grade kiddos, I took a different route. 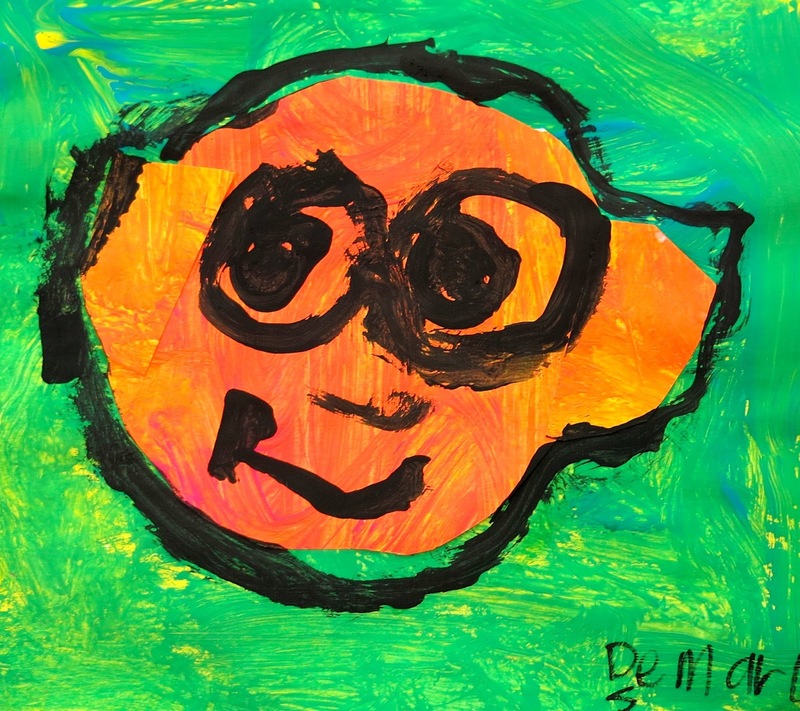 After cluing down the head and ears, these kids created their facial features in black paint. 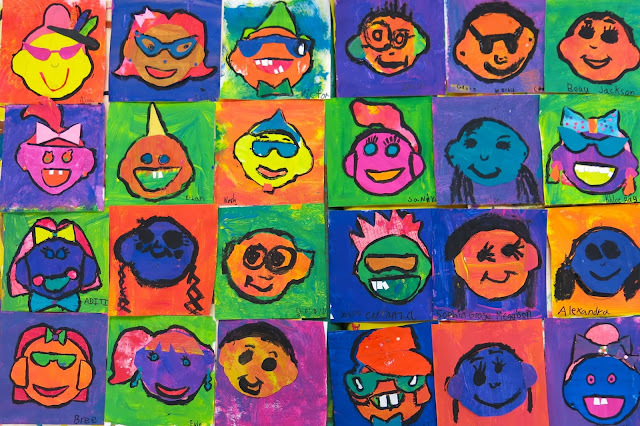 I love the variety that they add to the self portrait mural. Cool glasses, bruh. 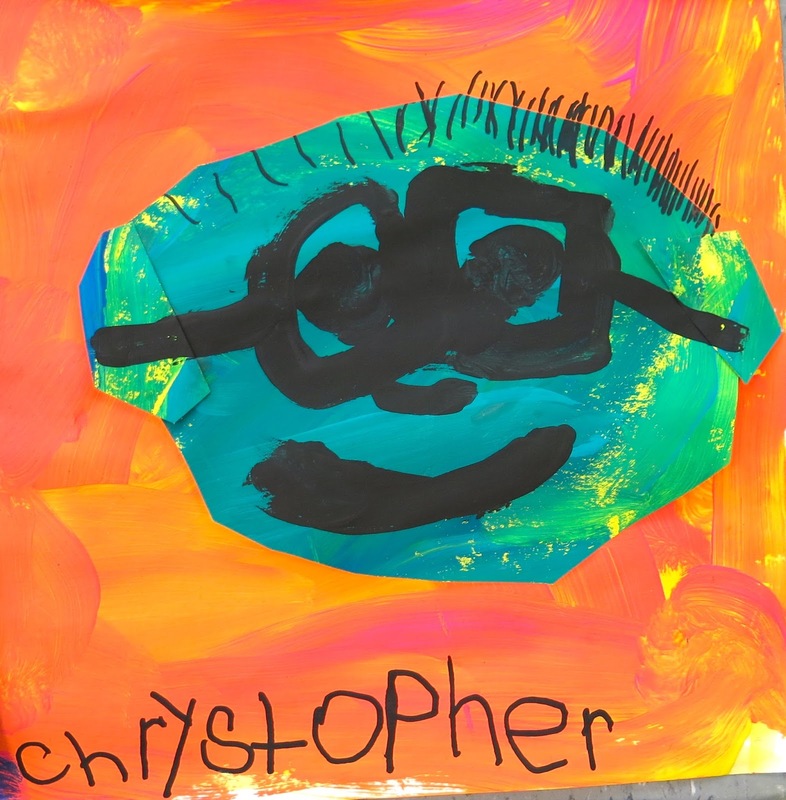 Love how this kindergartener created his spiked hair and glasses, so cute! And there you have it! I can't wait to see what my third and fourth graders come up with to add to the mural. After this mural, we are on to creating realistic selfies as well. What are some of your fave self portrait lessons? If you need some ideas, I shared some here...but I'd love to hear some more! Lemme know below, y'all! Fab project. Don't you love to see how the kids see themselves...and how much they laugh and enjoy their creations. How I wish I had an art teacher like you when I was a kid. Perhaps my left brain would be more developed and my spirit would be more free. Thanks again for sharing your work . I L-O-V-E reading your blog! Thank you! You are helping me to be a better teacher. Crazy- we are states away, but you are helping to shape the education and experience some 500 kiddos far away are having in their art classes- what a great world! Hi Pamela! We used 12"X18" sheets of paper for painting...and I believe the final collage selfies were created on a 8" square cut from the painted paper. Have fun! I've commented before on your line lesson but I just have to comment again and say what an amazing teacher you are...sooooooo inspiring! The children are really so fortunate to have you. As a teacher myself, I watch your teaching and I feel like my energy in teaching is renewed! Thank you for sharing your ideas and your positivity!! Keep those ideas coming especially for the non-art teachers like me! You know, I've been doing a lot of heavy thinking about my art teacherin' lately and being a little too hard on myself. Your comment REALLY means a lot to me and couldn't come at a better time. Thank you so much for your kind words! !